Included in the facility fee is the use of the Hayloft and Milking Parlor levels of the Round Barn, planning sessions and day of event coordination, 20 dining tables, 6 cocktail tables, buffet tables, ceremony chairs, 200 mahogany Chiavari dining chairs, all silverware, dishware and glassware owned by us. In the warm weather months, our large flat terrace is also available. Please note that linens are not included in the facility fee but are included in overall pricing estimates. Since your facility has an outdoor site, what provisions are made in the event of inclement weather? 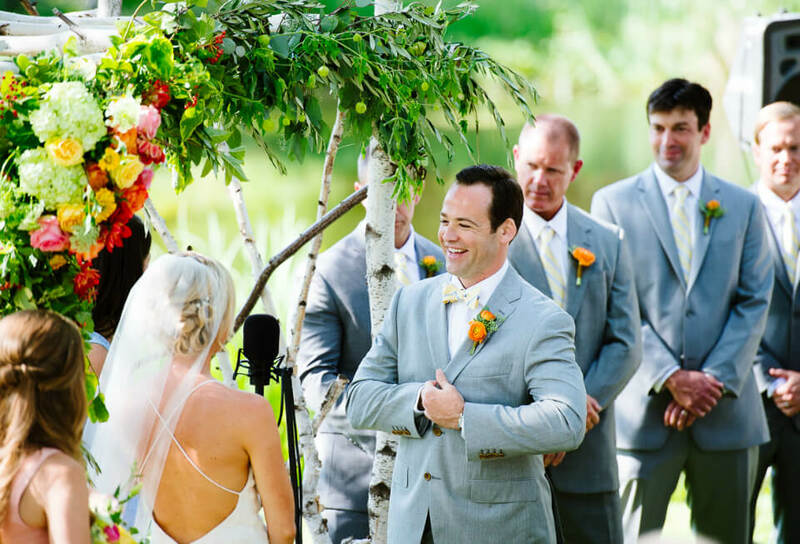 Within two hours of your ceremony the decision to hold an indoor ceremony and/or reception can be made quickly and efficiently. Our staffing and facility size enables us to be prepared for any circumstance. The options will be fully explained by our event coordinator. Is the person who books my reception the same person who will be my contact at the Round Barn during the planning stages, as well as the coordinator at the reception? In addition to the our Event Sales Coordinator, we employ a full time event coordinating team who will be available to you throughout the planning stages, ceremony and reception. Until the moment you depart, there will always be someone to assist you. Do you confirm my Vermont wedding date or destination weekend in writing? All events are confirmed, in writing, with a contract. A copy of our preferred vendors list and a planning binder with available resources is provided. Can you give me at least two references? We will happily supply references from past couples and their families. Fifty percent of the appropriate facility fee plus a non-refundable $2,000 is required as deposit to confirm the desired date and to begin the planning process. The final balance is due eight days prior to your reception. This deposit amount will be reflected on your event invoice. If you would like access to the Inn by reserving the Inn guestrooms, an additional $2,500 deposit is required. If your room deposit is not being used to pay for guestrooms, it can be applied towards your bar bill or refunded. All group lodging bookings are subject to 9% Rooms & Meals Tax. Do you have an in-house Vermont wedding caterer? We are proud to offer events catered by our professionally developed Round Barn Culinary Team. They carefully curate menus and skillfully prepare farm to table cuisine for all Round Barn celebrations. Our culinary team delights in creating a menu based on your desired dining style, taking food allergies and special dietary needs into consideration.Each menu is a reflection of the season and the style of event. What is the maximum number of guests the facility can accommodate? The Round Barn can accommodate up to 200 people. On Saturdays, and Holiday Sundays from May – October, a 100 person minimum is required. How many cars can be parked at your facility and are there any related fees? The Round Barn has ample parking for any size of function. General parking is included in the facility fee. The Round Barn has limited handicap accessible parking. Valet parking is available as an additional option. Your event coordinator can share valet options with you. 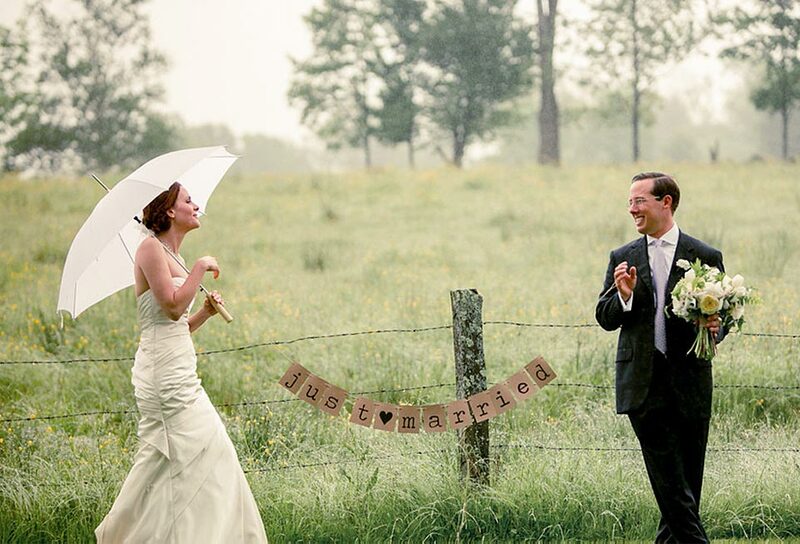 The Inn at the Round Barn Farm will hold only one reception at a time, guaranteeing you our complete time and attention. We may host more than one reception on a weekend, but never two on the premises on the same day. How long would my reception be and when should it begin? The average reception is six hours long. Most summer receptions begin anywhere between 2:00pm and 3:30pm. Amplified music ends by 9:30 pm but the party can continue with acoustic music or even a gathering around a bonfire. Winter receptions usually start later as amplified music is permitted until 11:00pm if the couple have reserved all of the Inn rooms. Can I view the facility before or during a reception in order to get a realistic image of the site when set for an event? We encourage you to visit the Round Barn immediately before the start of an event. This allows you to see the Round Barn at its very best. To be respectful of the couple being married, appointments are required so we can appropriately guide you through the property. Will there be staff on hand to handle any unexpected problems that might occur during our reception? Yes, the Inn at the Round Barn Farm has a full staff that can handle any and all your needs. We have assisted more than a thousand couples down the aisle in the past 28 years and have an incredible ability to overcome challenges. What is the service staff to guest ratio? For plated meals, we find that two servers can properly serve 4 tables. In addition to servers, our team appropriately includes bus staff, bartenders and a floor captain for each event. What about a seating plan? Can you help me with a layout? To assist you, our facility has numerous seating plan scenarios available for you to use. A blueprint is available to assist you as well. Your event coordinator and you will finalize your seating plan before the start of your celebration so the dining room can be ready when you arrive for your hand-off meeting. What types of linen are available? In house we always carry a supply of floor-length white cotton rounds, and white or ivory overlays and napkins. We have access to many other colors and textured specialty linens. A custom linen quote is available and we are happy to coordinate specialty linen requests. If you wish to provide your own linens a handling fee will be applied. Do you have a permanent dance floor and how many people does it hold? Yes, we do have a permanent dance floor. Since we have beautifully restored wooden floors throughout both levels of the Round Barn, you can control the size of the dance floor by the number of guest tables you choose to have. Are there any regulations about the type of music, number of musicians or duration of music? The Inn at the Round Barn is located in a beautiful, agricultural residential setting. Because of this, there are time restrictions to allow for our neighbors’ continued happiness. In the summer months, bands can play until 9:30pm. After the music ends, you have the option to continue your party around a roaring bonfire or to move on to an after party at one of the clubs in Waitsfield. In the winter months, amplified music can continue until 11:00pm, as long as wedding guests have booked all of the guestrooms at the Inn. Do you have a piano or any other instruments on the premises? Do you have a microphone? While there is no formal PA system in the Round Barn, we find that each band or DJ prefers to use their own equipment and instruments. Your band or DJ can also supply any amplification equipment for your ceremony. Are meals provided for musicians and photographers? In their contracts, most vendors require that you provide a meal for them. We provide all meals to you for musicians and photographers at 50% off the regular dinner cost. Our policy is that all vendors are offered the same meal being served to guests. Vendors have a big part in the overall success of your celebration and feeding them well goes a long way toward a happy vendor team! What is your policy on children’s meals? Happy children make for happy parents! We are accustomed to providing kid-friendly food, and have a capable team of babysitters if you would like to provide care for your guests children. Babysitters need to be booked no less than three weeks in advance. In some circumstances, babysitting services may be mandatory. Your event coordinator can assist you with our childcare guidelines. Are there separate areas for the cocktail hour and for dinner and dancing? We have separate areas for the ceremony, cocktails, and dinner. In the unfortunate case of inclement weather, the ceremony and cocktail hour can take place in the Milking Parlor middle level of the Round Barn with dinner and dancing in the upper Hayloft level. Is there a comfortable area where guests can await the arrival of the couple from the ceremony if it has been held off-site? Can cocktails and hors d’ oeuvres be served at that time? Guests can await your arrival either on the terrace lawn or in the Milking Parlor of the Round Barn. Cocktails and hors d’oeuvres can be served at this time, depending on your preference. Do you have a photography room or changing room? We have a beautiful 12-sided Round Barn, five ponds, three bridges, numerous gardens, and the Green Mountains as a backdrop. You’ll be wowed by the possibilities. 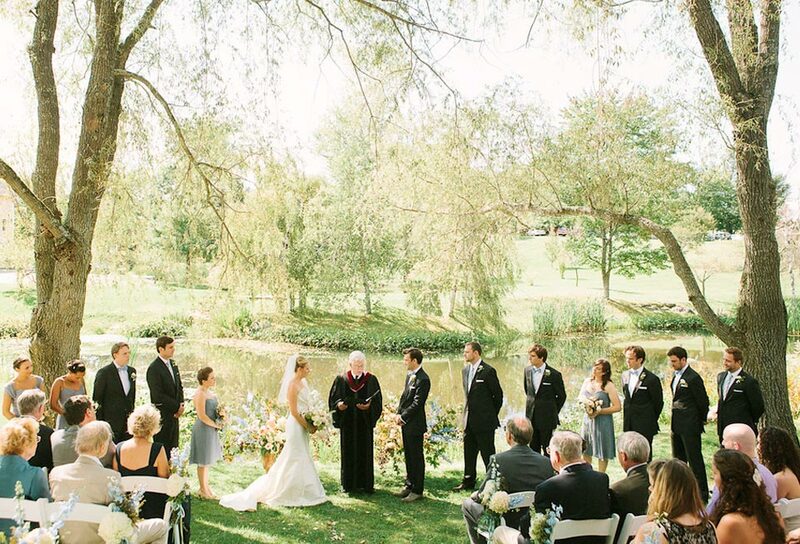 Facilities can be made available for the wedding party or vendors to change. What can and cannot be brought on-site? Decorations, props for the ceremony and any other personal touches can be brought in for the celebration. In accordance to Vermont State Liquor Control laws, alcoholic beverages can not be brought onto the site as we are a fully licensed establishment. Bringing beverages into a licensed area is against the law and beverages those brought onto the premise will be removed immediately and held for you until your departure. Are there any discounts for receptions held off-season? Our facility fee is lower from November through April than it is May through October. Do you have liability insurance in case a guest gets injured? Do you have liquor liability insurance? The Inn is fully insured for all circumstances that may arise.